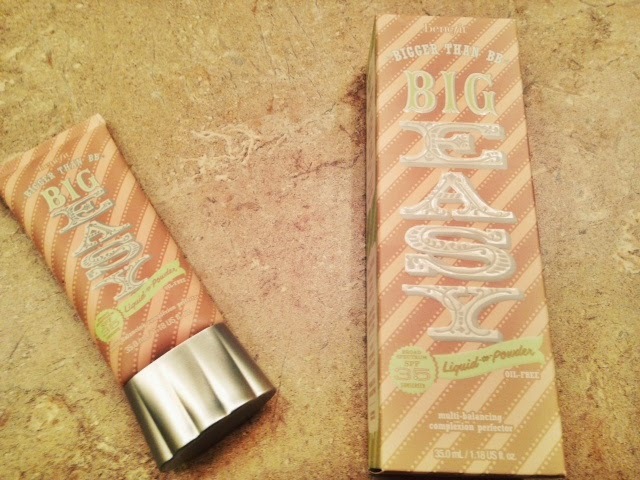 Benefit came out with their newest product recently: The Big Easy Liquid to Powder Foundation with SPF 35. 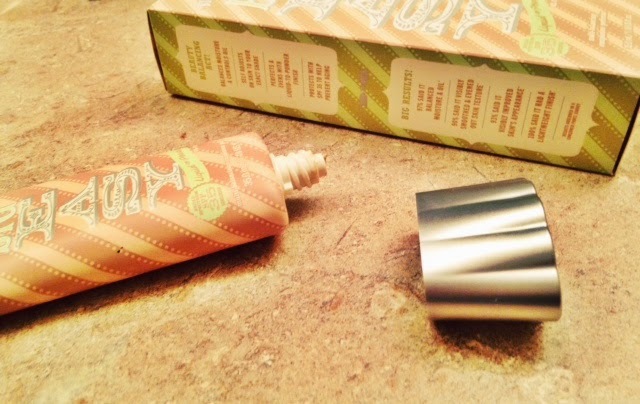 I’ve heard a lot of hullabaloo about it from a few Benefit gurus, so I decided to try this face product for myself. Keep in mind that my face is extremely sensitive so I am always weary when applying new face makeup. This foundation offers very light coverage for me personally, and I don’t believe it to be necessarily “build-able coverage.” I’ve gotten a lot braver lately because my skin has been healing from its very devastating state. My imperfections are more apparent with this product, but the light coverage makes my skin feel like it can actually “breathe.” I don’t feel like my oils and the product are combating and that I’m wearing a mask on my face. 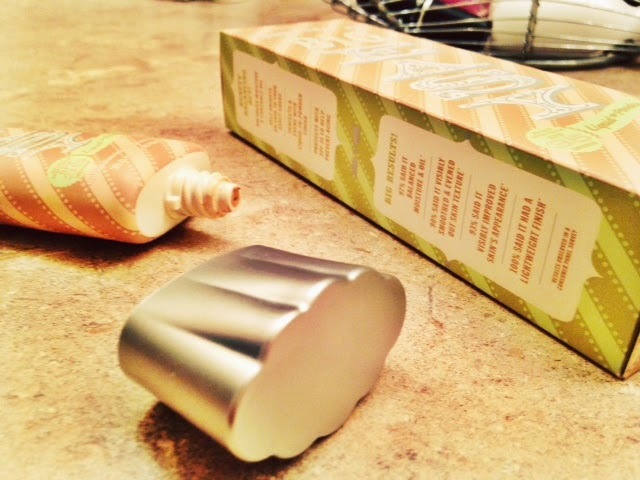 How I apply: I start off with a moisturizer, then Benefit’s Porefessional, and finally apply this with my Real Techniques beauty sponge. It is exactly as advertised, a liquid to powder foundation. When I first apply, I have liquid on my sponge. When the liquid dries on my face, it leaves my skin feeling like a powder was applied. It’s absolutely brilliant! I’ve been using this for about a week now and I think it’s really made my skin glow distinctly and I’ve gotten a lot of compliments about my face looking thinner and glowy. They claim it as one of the “greatest balancing acts” and their marketing ploy is related to the circus-not false advertising. I typically have extremely oily skin, but this product really does help balance the shine and oil on my face throughout the day. It’s a long-lasting product that is truly an incredible creation. 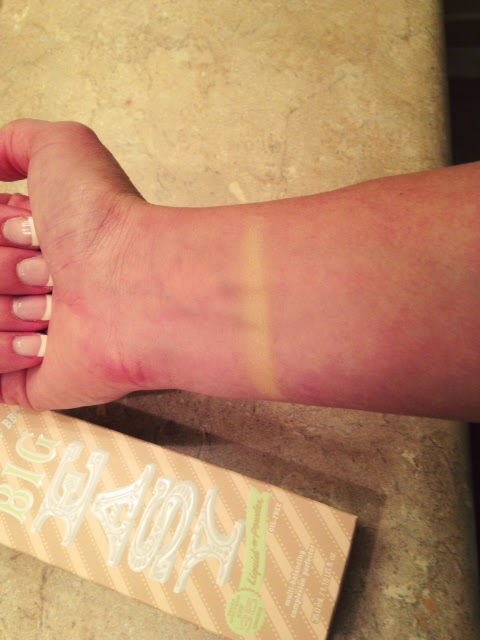 This swatch makes the color match appear inaccurate, but my face is a LOT lighter than my arm. Typically my face makeup is a darker because I like to have a nice warm glow, but this was my attempt to a face color match. The summer is for the bronze-y warmer skin color, right? Have you tried this foundation yet? What are your thoughts?